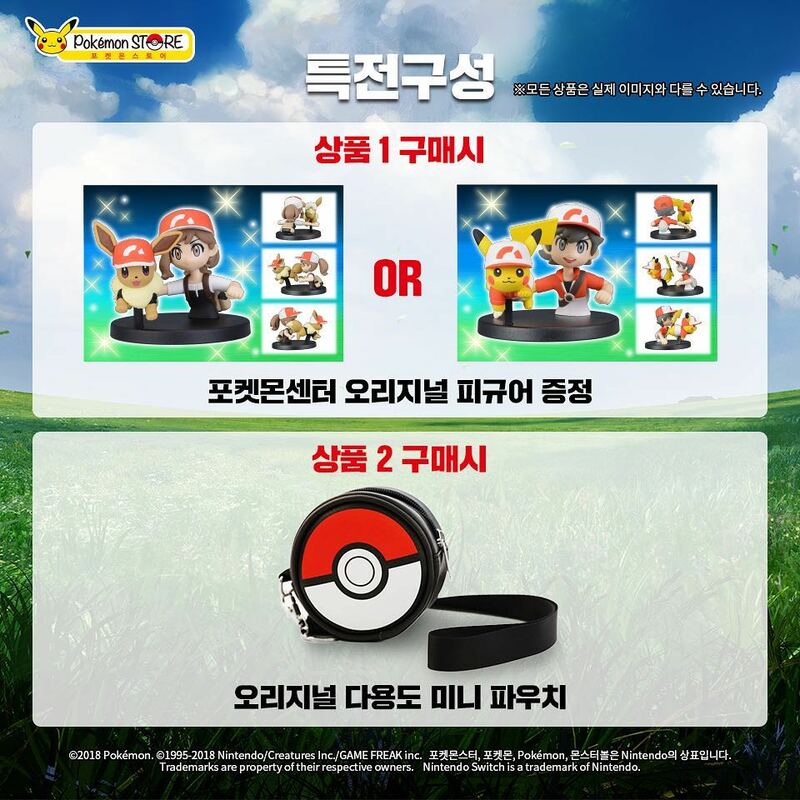 The official Pokemon Store in South Korea has just started taking pre-orders for all Pokemon Let’s GO Pikachu/Eevee products yesterday. Similar to Japan, pre-order bonuses are being offered for all reservations of Pokemon Let’s GO Pikachu/Eevee. First, if you pre-order a standalone copy of either Pokemon Let’s GO Pikachu or Eevee, you’ll receive the Pokemon Center exclusive figurine that was announced for Pokemon Center Japan. Pre-order the Poke Ball Plus bundle (includes the game too) to receive a Poke Ball pass case. 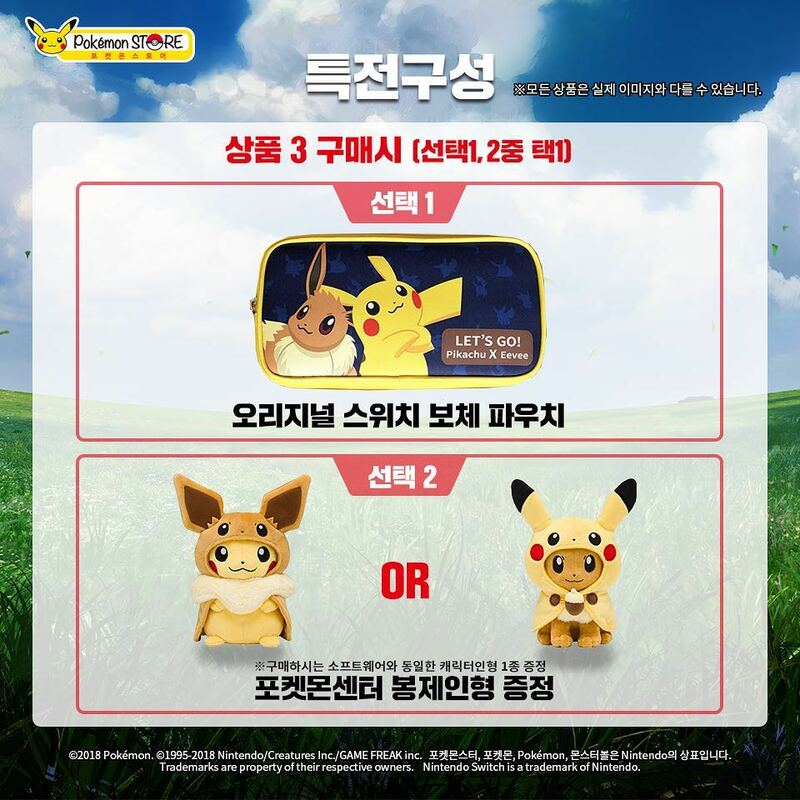 Finally, pre-order the Nintendo Switch Pikachu & Eevee Edition to receive either a Pokemon Let’s GO Pikachu/Eevee carrying case exclusive to Korea, or Pikachu wearing Eevee costume plush (for the Let’s GO Pikachu edition) or Eevee wearing Pikachu costume plush (for Let’s GO Eevee edition). Both plushies are available separately at Amazon Japan. Pre-order here (ships with South Korea only). Launches November 16, 2018.